Hi, do you want a great morning, afternoon or day out that why not join in one of my workshops. I run workshops on a one to one basis if you want time just to yourself (please note you would need to bring a model along if just one person, or if you book for you and a partner or friend etc you can work on each other). All workshops are small groups, You can contact me if you wish a workshop not listed here incase I run elsewhere. The workshops can be in your home, or place of work if a group of carers for instance wanting to learn some hand massage, at my studio or I also do workshops through a local holistic centre in nuneaton called Earth spirit crystal with regular monthly workshops on different subjects from dowsing, oracle cards, chakras, aromatherapy, auras, acupressure and lots more, these are ideal for beginners. I provide one to one training for you and your partner too or group of friends and family. Ideal if you or a couple want to learn to massage each other. This is a great way to start giving you a introduction to body massage, hand massage, foot massag e, back massage, facial massage or indian head massage during which you are shown a array of massage techniques for beginners and hobbiests or if you and your partner want to massage each other. You will be given a certificate of attendance. This special workshop makes a great gift and a fun day out some bring a friend, partner, colleague or relative and enjoy together. This superb range of workshops costs just £40 each. If your interested in attending please contact us. Monthly reiki share evenings ran by myself at Earth Spirit Crystal in Nuneaton (Weddington Terrace) held every month, check their website for dates of all or drop me a email or text and I will let you know. Real friendly group all welcome but must book through earth spirit crystal due to limited numbers. Donation to local charity is all we ask, so whether your new to reiki, want to know more, level 1,2 or master come along for a fun night of like minded people. Running from 6.45pm until 9.00pm and we ask that you give a donation to one of our charities as boxes will be in the room on the night for attending. Come and enjoy a wonderful evening with like minded people some of whom who do reiki with discussions, updates & of course enjoy treating each other with mini reiki treatments. You do not have to be reiki trained to attend and you can also be at any level of reiki or reiki seichem to join in. 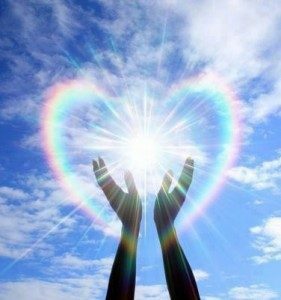 Join me and learn the wonderful art of Reiki both usui reiki & reiki/seichem levels 1, 2 ,3 and masters available – Workshops available at various venues, one to one or even in your home, these are fully accredited with RASA and certificate awarded after successful attendance of a reiki or seichem/reiki workshop. Interested in Reiki or Reiki/Seichem but want to do the levels individually, then join me for the below range of reiki workshops. Reiki first degree opens you up to the wonderful gift of Reiki. Following a Reiki one workshop you will be able to channel Reiki energy for yourself and friends & family, this ability will remain with you for the rest of your life! Reiki first degree involves learning about the history, principles and theory of Reiki. Following a Reiki one workshop you are encouraged to do regular self-treatments and to begin to explore your use of Reiki on others, and in many areas of your life. Some people who have done Reiki first degree then wish to take their Reiki empowerment a step further. Reiki second degree strengthens your ability to channel Reiki, it also introduces you to six ancient symbols which are the keys to distant, emotional and mental healing. Reiki two enables you to work on life issues in a powerful way; it often develops your intuition and self-awareness and connects you more closely to your path. Seichem is an evolving system, which is very powerful. Seichem promotes personal and spiritual growth. Seichem often enhances psychic awareness and intuition. Seichem includes Reiki. Seichem attunes you to all four elemental healing rays of earth (Reiki), fire (Sakara), water (Sophi-El) and air (Angeliclight). Following a Seichem attunement you will feel the difference in your healing straight away. We work with techniques for mental and emotional healing, plus a variety of ways of guiding and releasing energy and also the violet flame. If you wish to develop further you can again take the next degree & in this level of Seichem you are introduced to a variety of symbols and distant healing techniques. Seichem First & Second Degree can be taken together, this is something that we will discuss if you feel you are ready to take both steps together as some peoples energies today are a lot more developed and ready than others with all the changes in the earth’s energies. This is an intensive day with attunements , practical and theory work which is covered in the two separate workshops above. Third degree is a further empowerment of Reiki and Seichem. If you have an inner-knowíng that you should take your Masters you will also know when you are ready to take this momentous step. The Masters workshop is a major acknowledgement of your spiritual and personal growth. I encourage all students who go on to become practitioners to join a Reiki Society like the Reiki and Seichem Association (RASA) or UK Reiki Federation which adheres to ethical and professional guidelines. In this workshop which last for 3 hours and cost £15 per person, we look at energy in many ways. We have a go at some energy exercises and discuss the energy around us and how it effects us in a holistic manner from the physical body, emotional body and spiritual body. We look how the moon influences us and using this energy for things we want in this life, as well as the moons cycles. We look at reiki healing energy, crystal energy and dowsing as these are all vibrational medicines which we can us to assist us. We will also be doing some meditation and chakra balancing. Great fun to get your started on the journey of using healing energy for yourself. I have one of these running at Earth Spirit Crystal holistic centre in nuneaton and many more pick up a leflet from their shop or check out their web page one workshop running every month and more on all topics. You can contact earth spirit crystal direct to book or myself) – I can also offer this workshop on a one to one or at various venues including your own. Have your got a dowsing pendulum and dont know how to use it or even have some rods. This is a great workshop lots of fun where we look at dowsing. Over a 3 hour period we look at introduding you to the wonderful world of dowsing. We cover dowsing for health, geopathic stress, balancing chi and chakras, finding lost items, using maps and dowsing for the highest good of us in life and health. Come and have some fun, This is a brilliant workshop to take into schools and groups if your interested just contact me. This workshop is 2 hours at £15 per person. I am running this workshop and many more at earth spirit crystal in nuneaton you can book direct with them or through me. I can do this workshop at various venues so if you are interested just contact me. More workshops available so do check earth spirit crystal webpage and face book for more details and please watch this space if interested please register on our contact page for further details and more information of our workshops will be emailed to you.